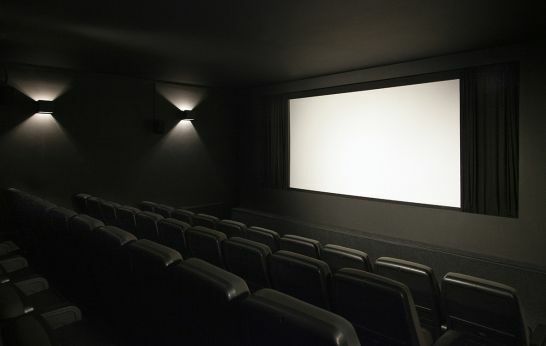 Located in the heart of Shoreditch, Close-Up is the ideal venue for all your screening needs, whether you wish to host a press screening, corporate event, presentation, conference, Christmas or birthday party. Our adjoined cafe and bar is fully licensed and offers a convivial atmosphere for drinks receptions, networking or informal post-screening discussion. While Mirror, like all Tarkovsky’s films, pays homage to painting, music, and poetry, it also makes plain that the Russian director understood Mnemosyne to be the mother of the muses. Being a poet, he sought not only to retrieve the past but to reveal its essence – and in so doing to redeem an inherently flawed present. Originally titled The Passion According to Andrei, Tarkovsky’s second feature remains a wholly original epic, a life of the medieval icon painter encompassing the full horror of history. The culminating vision of Rublev’s Trinity only emerges from the yoke of Tartar occupation, mystic rites, excommunications, and nearly unrelieved suffering. A Sturgatsky brothers double bill: Andrei Tarkovsky’s metaphys­ical journey through an enigmatic post-apocalyptic landscape paired with Aleksei German's staggeringly visceral, phantasmagoric science-fiction epic. Filmed as Tarkovsky conceptualized Nostalghia with famed Italian screenwriter Tonino Guerra, Voyage in Time is an exterior portrait of the Russian director’s creative process and a document of his dislocation. Chris Marker’s One Day in the Life of Andrei Arsenevich is perhaps the best film yet made by one film-maker about another. A revelatory document, loving, lucid and lyrical, on the elemental structuring of Tarkovsky’s work. Tarkovsky’s final film is also one of his most overtly theatrical, a chamber drama drawn in characteristically virtuoso long takes. A philosopher celebrates his birthday by planting a tree with his young son on an otherwise barren landscape. Disgusted with modernity, he finds his calling after reports of an impending nuclear war, the reality of which remains occluded in dream. František Vláčil’s debut feature is an exemplar of the purity and poetry of his vision. A near-experimental work of great humanism and lyricism, it traces the flight of a bird that loses it way home to the Baltic coast, where a young girl waits for it, and winds up in Prague, where a young boy and a painter rescue it. A milestone of the Czech New Wave, Miloš Forman’s first colour film The Firemen’s Ball is both a dazzling comedy and a provocative political satire. Presumed to be a commentary on the floundering Czech leadership, the film was "banned forever" in Czechoslovakia following the Russian invasion and prompted Forman’s move to America. Věra Chytilová’s classic of surrealist cinema is the most adventurous and anarchic Czech film of the 1960s. Two young women, both named Marie, revolt against a degenerate, decayed and oppressive society, attacking symbols of wealth and bourgeois culture. A riotous, punk-poem of a film that is both hilarious and mind-warpingly innovative. This expansive and intimate, eminently engaging documentary was a labor of love by Mumbai-based archivist and filmmaker Shivendra Singh Dungarpur, who became enamoured with Jiří Menzel’s work after seeing Closely Observed Trains. Years later, Dungarpur initiated a correspondence and eventual friendship with Menzel that resulted in this astonishingly detailed and probing documentary on Menzel’s life, career, and postwar Czechoslovak cinema. Introduced by Ehsan Khoshbakht. Part political satire, eco-horror and road movie, TERROR NULLIUS is a political revenge fable which offers an unwriting of Australian national mythologies. Binding together a documentary impulse with the bent plotlines of Australian film texts, Soda_Jerk’s revisionist history opens a wilful narrative space where cinema fictions and historical facts permeate each other in new ways. Preceded by two short films that explore notions of sampling and re-mixing traditional cultural narratives.